Many times, the right decision is quite obvious. When you see the direction in which you need to head, you never hesitate. That's why we're completely confident you'll see the value in these convenient return address labels from CheckAdvantage. 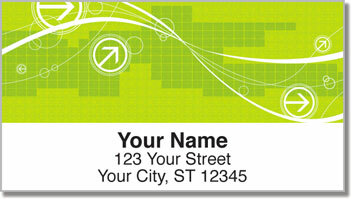 Not only do they feature an eye-catching and professional design, they are also a huge time-saver. 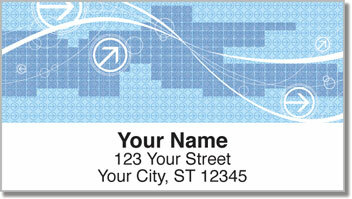 You could waste time writing out your return address on every envelope by hand, or you can choose these self-adhesive labels. Then all you'll have to do is peel and place them on all your letters and packages. So what are you waiting for? The choice is clear! 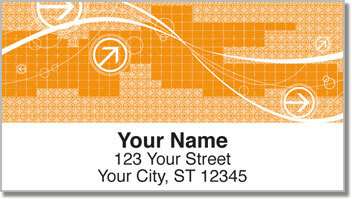 Order your very own Arrow Pattern Address Labels today! You can also find this stylish selection in matching personal checks.